Agricultural commodity giant Wilmar has renegotiated an existing revolving credit facility (RCF) with lender DBS, so that the terms may be reduced if it hits sustainability targets. Wilmar will now pay less interest on its two-year US$100mn facility if it reaches performance indicators on a range of issues, from biodiversity to greenhouse gas reduction and renewable energy. This is the latest sustainability-linked loan in Asia, following similar agreements reached this year. The market is nascent, but DBS says it has fielded enquiries on such facilities from both Asian and global commodity players. “We welcome clients to discuss the possibility with us, and we also reach out to clients committed to the sustainability agenda to consider different green financial products, such as green loans, green bonds and ESG (environmental, social, governance)-linked loans,” Yulanda Chung, DBS’ head of sustainability, tells GTR. She refused to say how much of a pipeline there is for this type of funding, but said that “it should not be used as a greenwashing attempt”. The bank will only consider working with companies that have “ambitious yet achievable targets” pertaining to ESG. Further details on the loan’s terms have not been disclosed, but the pre-set performance indicators have been established by Sustainalytics, a Dutch company which has been involved in a series of sustainability-linked loans over the past year. In November 2017, ING restructured a portion of a US$150mn loan to Wilmar. Again, this will see the company benefit from more favourable terms should it hit ESG targets. Wilmar was involved with DBS’ Singaporean rival OCBC in June this year on a US$200mn sustainability-linked RCF, also assessed annually by Sustainalytics. Asia’s first sustainability-linked club loan was closed in March, which DBS was also involved in. Olam was the borrower on this occasion, with 15 lenders contributing equal parts to a US$500mn facility. Further deals are expected before the end of 2018, although most involved in the sector are keen to impress the very early stages at which the market is currently stood. 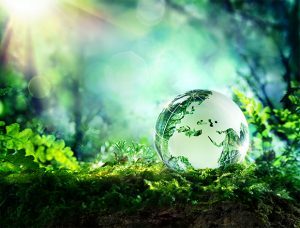 The post DBS rejigs Wilmar loan in Asia’s latest sustainability-linked loan appeared first on Global Trade Review (GTR).